I hope you are well? If so, doxology. The purpose of my scintillating letter is to inform you that Trump is now President of the United States, in case you are suppressing the use of the Internet like Ethiopia and some other African countries have done in the past few months. If you do not understand the potential effect of a Trump win on foreign policy and US-Africa relations, then you should sack your retinue of Personal Assistants, Special Assistants and even Ministers in the foreign affairs and economic portfolios. For me, it is a positive for Africa. For once, we have a man in the White House with no pretence about his hatred for anything different from him. 1. Increase trade within Africa: This is a no-brainer as trade within Africa is very small at the moment. When we learn to trade with each other, our currencies can actually take a break from the over-dependency on the USD and other Western currencies. It will mean African countries coming together to review the stupid agreements most of them individually signed with the WTO. It would also mean becoming real brothers and looking out for one another instead of hating and being Xenophobic. This problem has quite a lot of systemic issues that needs to be resolved. It involves improving road transportation between sub-regional countries especially in West Africa. Southern Africa is much better. It also means reviewing Visa policies and flight routes. There are countries in Africa that you might need to do 3 flights to reach. That is just crap. 2. Evolve a capacity building agenda for Africa: We have a real problem in developing good Engineering education in most African countries. The African is brilliant and that is why S/he performs in enabling environments. Africa has to come together and decide to grow. China produces more than 1M quality Engineers annually. Even the US has nothing on that statistics. When you see countries where everyone wants to study BComs, then there is a ticking time bomb. I am not in any way discounting the role of Commercial courses but we must strike a balance. We need to borrow a leaf from the Chinese and even the Indians. As a continent, we need to have peer cooperation to evolve blueprints for developing Engineering capabilities in our Universities. This is also a systemic issue; hence the need to go back and fix education from primary to tertiary. We should not be competing only on the football pitch or Jollof Rice – this issue of capacity building should be one that should turn into a competition where we see countries trying to outperform others. 3. 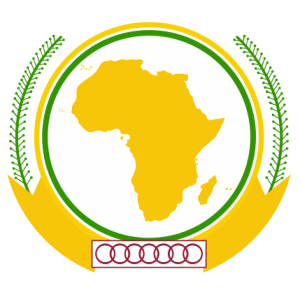 African Peer Review Mechanism: If the APRM was properly utilised; Africa would be a great continent today. We need to cooperate as a continent to defeat corruption and mediocrity. If you know that your peers would condemn your corrupt and sit-tight tendencies, you’d think twice before doing certain things. But when Mugabe is AU Chairman, then what do you expect? The younger sit-tight rulers then have an even bigger role model. The European Union would never allow such a man to hold the position. This is where real peer review mechanisms would help our continent. When we run silos, we tend not to have anyone we are accountable to. Africans raise their children in a community. When a child misbehaves, s/he can be reprimanded by other parents. We are not using our cultures in a good way. The perception of Africa as a black continent can be squashed when we start doing the right things and thereby put our house in order. 4. Africa can only be emancipated by Africans: I don’t know where the myth came from that other continents care about Africa.At best, they don’t want too much war and people fleeing to their countries. But the prosperity of Africa actually affects their economy negatively. If Africa starts producing its own technologies and other things imported from the West and Asia, how do you want them to maintain the balance of trade in their advantage? Wake up Africa! You have been sleeping for too long. No one cares about your prosperity. Only Africans will be able to free Africa. Until we realise this and form a bond that takes us all out of this poverty mentality; we are just wasting time. This is not a call for an African Union kind of intervention. We need something deeper than that. We need a form of intervention that goes deep into our psyche as Africans, that touches our subconscious that we are not slaves and that we can work together a common agenda to become self-sufficient to a great degree. It means our leaders will start being true leaders and stop the selfishness. It means the African Youth forming a bond to preserve our people, recover the lost years and leapfrog into the next levels. It also means stopping the various talk-shops and start doing real stuff. I have so much to write, but there will be other times. We need real action from now. This is our chance to build this continent. The USD is losing against other major currencies but the African currencies are losing. Our dependency on other climes is disheartening. When America is doing good things, our currencies lose. When America is doing stupid things, our currencies lose. Wake up Africa. It is your time to be independent and damn the consequences.